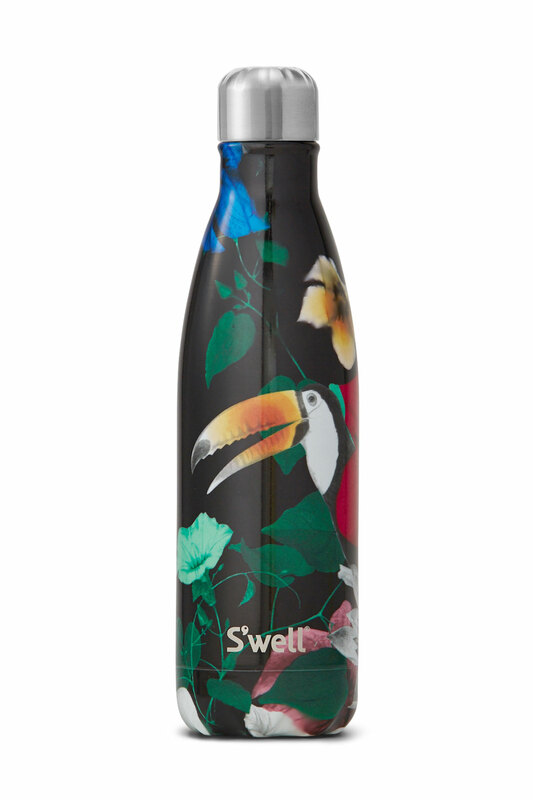 Lush stainless steel water bottle features wild blooms and exotic birds on a black background. 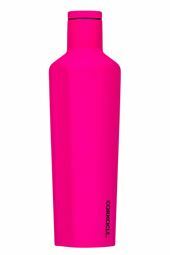 These reusable bottles are BPA free and made from eco-friendly materials to reduce the consumption of plastic water bottles. 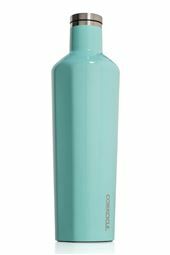 Made from high grade 18/8 stainless steel and triple-walled for superior insulation, these bottles keep cold things cold for 24 hours and hot things hot for 12 hours. 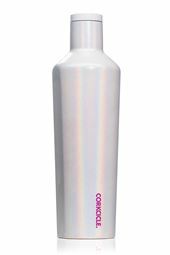 Offers condensation free exterior.